Serimax, the Vallourec subsidiary specialised in welding, has completed the offshore E6 project ahead of schedule. This is another operational success to add to the list of this year's success stories with both quality and productivity achieved during the welding of 10 in. to 16 in. pipe (11.1 mm to 23.8 mm) with the best production day at 337 joints per day. 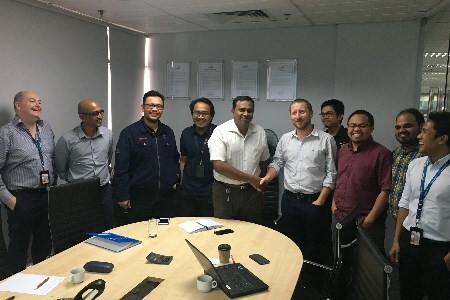 SapuraEnergy, a leading global integrated oil and gas services and solutions provider, and the Serimax team did a great job implementing a pleasing team spirit throughout the full duration of this 81 km pipeline with an encouraging repair rate of only 0.7%. This offshore success is another milestone to reinforce strong client relationships with key players within the offshore pipe lay.